The theme for the next NYCPlaywrights Podcast is "rants & raves." A "rant" is generally a negative view of something or someone. A "rave" is generally a positive view of something or someone. Please send only one - either a rant or a rave. Not both. We will only accept one piece from each writer. We may select as many as three scripts from the submissions to perform for the podcast. Please review the web site and listen to at least one podcast to get an idea of what you are submitting to. 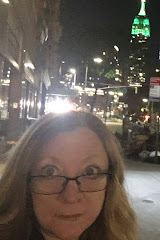 The web site is http://www.playwrightspodcast.com - the next podcast episode will be out in a couple of days. The deadline is Sunday, December 2, 2018 at 11:59 PM EST. The script must be a rant or a rave. The submission can be one monologue. The monologue can only be one page long, so choose your words carefully and edit edit edit. It's OK if the monologue has been produced before. But not published. We will notify submitters of the decisions and announce the winning monologue and/or play on the NYCPlaywrights web site by Sunday December 9, 2018. 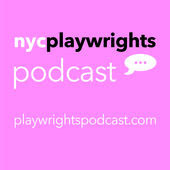 A recording of one (or more) selected monologues will be included in the next NYCPlaywrights Podcast.